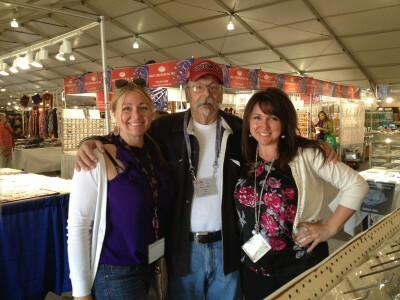 Last week I traveled to Tucson w/ my Dad to attend the biggest Arizona jewelry convention of the year. There are shows in over 40 venues and you’ll see booths set up in most hotels & parking lots, convention centers & malls. It’s absolutely huge. It’s not just jewelry & beads. It’s objects from all over the world. On the advice of a pro, Dad & I went for two days. We stayed at my sister Jen’s house in Casa Grande so we didn’t have to drive so far each day. Her hubby Rob came along the first day. We walked straight from 12-6pm both days. We were pooped & asleep my 9pm. 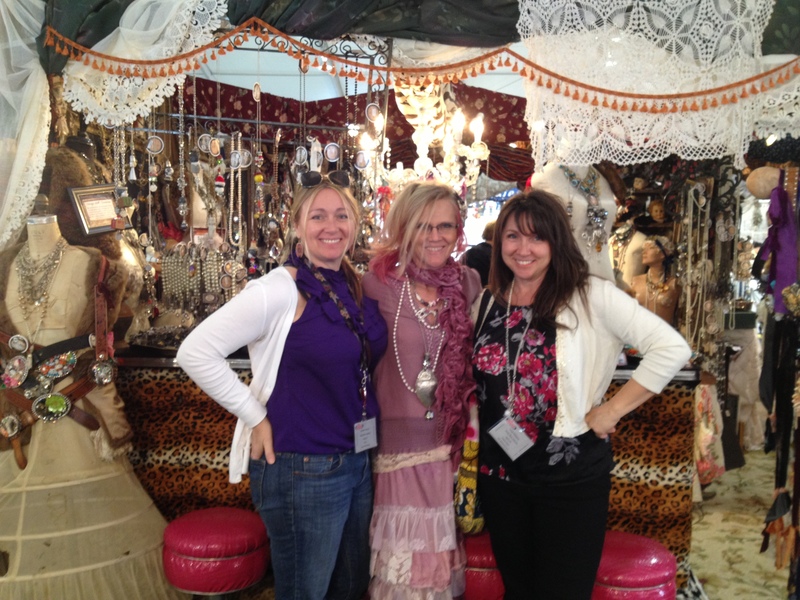 My goal was to find international distributors for my jewelry supplies as well as see the new trends, learn about tools & of course buy beads & supplies. 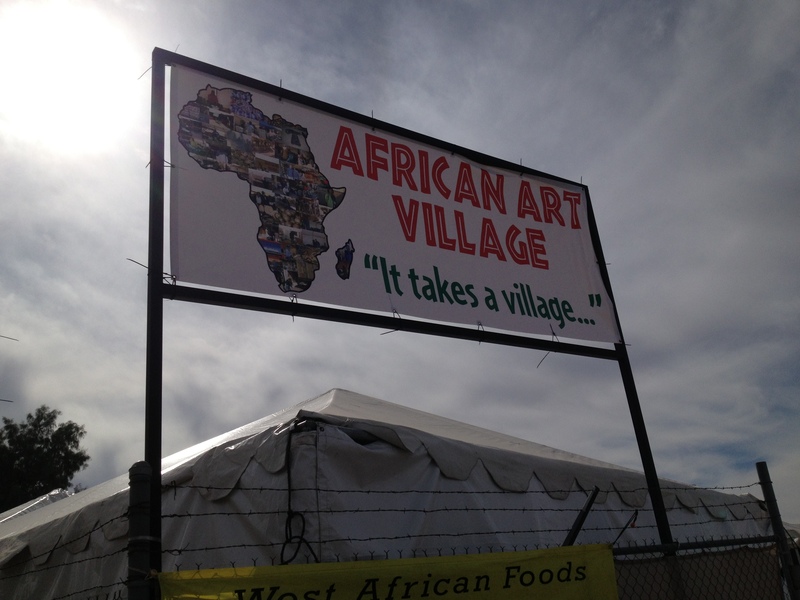 We hit 7 venues including the African Village, Native American show, Gem Mall, J.O.G.S. and a string of small booths. You can get bleary eyed from all the beads & people. A big shout out to Jen, Dad & Rob for all their help. I adore them. If you go, bring a rolling suitcase so you don’t have to carry your wares. 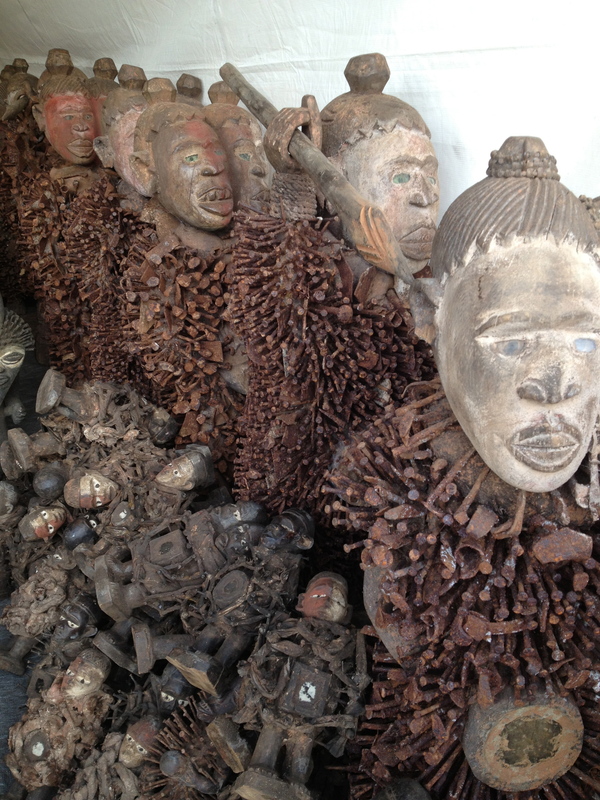 Also, pre register online for speedy access.Here’s a few pics from our travels. 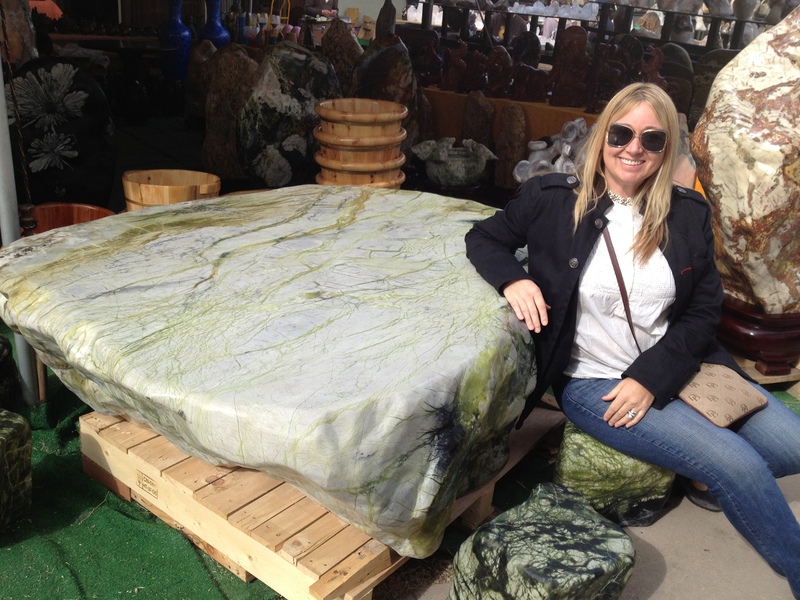 Jen w/ the 12K Jasper table & stools. Very Lord of the Rings. I’m so glad I went here & saw all the really cool pieces from Africa. 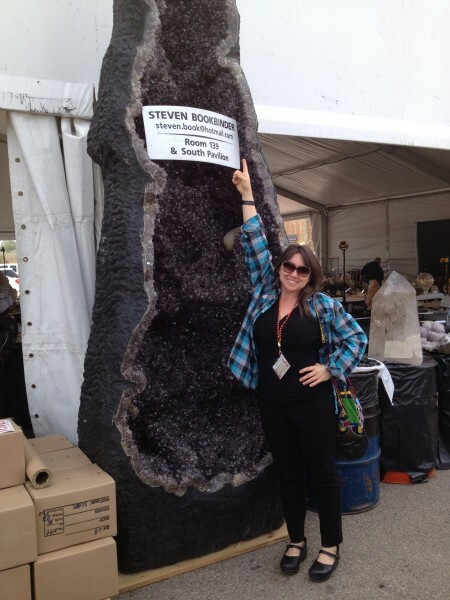 These resin beads were the size of donuts. 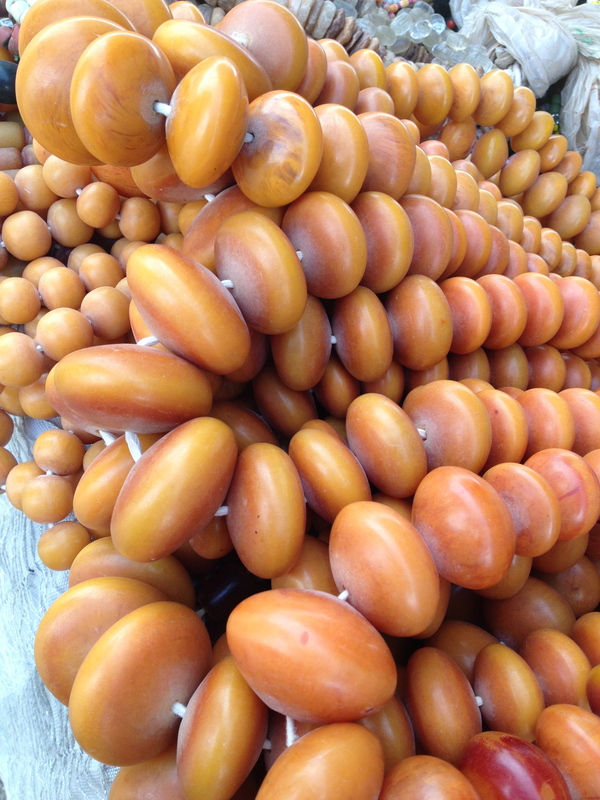 The beads are so miniscule & were applied on top of wax one by one. Simply amazing. 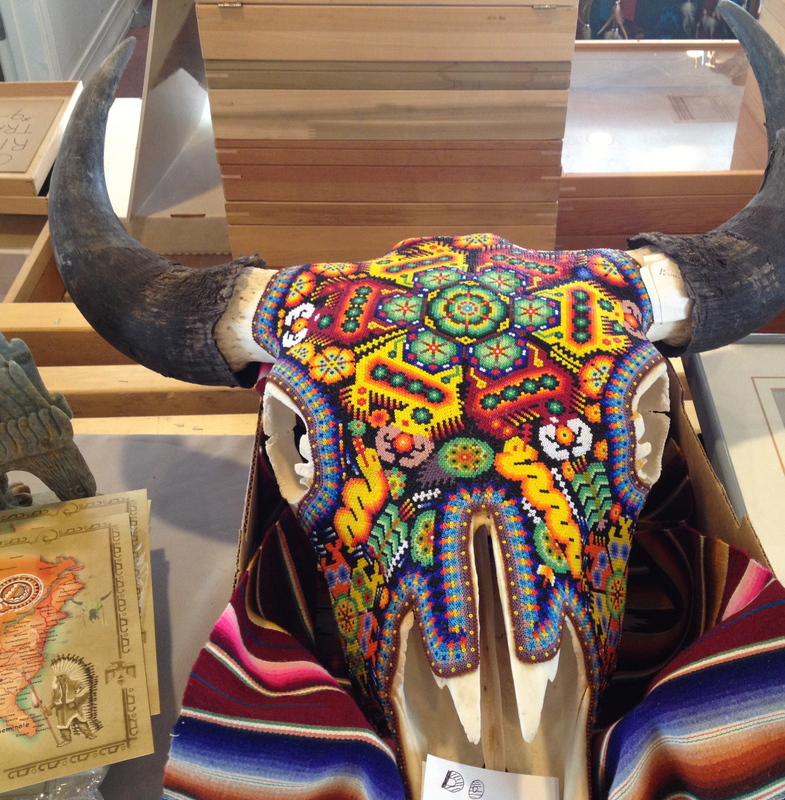 This was at the only sanctioned Native American show in town. My Dad said he was happy just to be w/ his girls. We were thrilled he came. 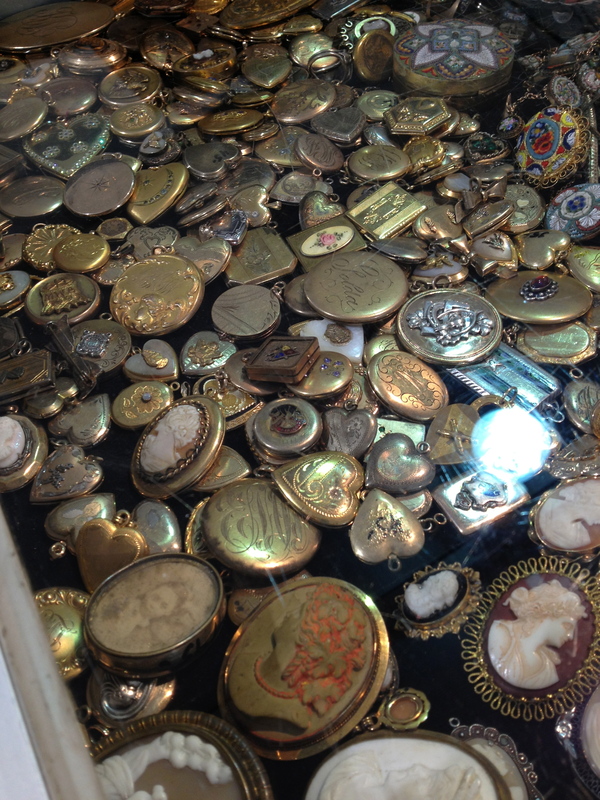 A drawer full of lockets @ the Sandy Schorr booth. Yes, that’s his name. By far, the most amazing booth we saw. “Art by Amy” was A-MAZING. This is Amy & we were lucky enough to meet her. Her style is creative & unique & nothing like we’d seen before. She actually uses the heads off of porcelin dolls & attaches them to necklaces. She does a lot w/ unique charms. Ck her out.